As a part of the Blogging Marathon groups, we chat plus there are various recipes discussed, well you cannot be a foodie without that can you? In one such chat, there were various idlis discussed. 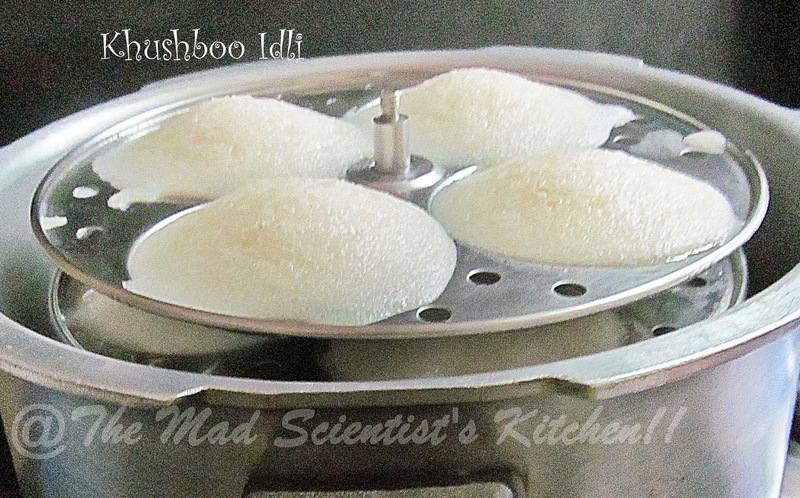 One of the idlis discussed was was Khushboo Idli! Now Khushboo means a pleasant smell in Hindi, so at the back of my mind, I kept wondering what an aroma it must be having. So imagine my surprise when I was told that the idli was named after Khushboo, the actress!! She was and is so famous is something that I was not aware of. Well, my GK in the subject of movies is and has always been questionable. 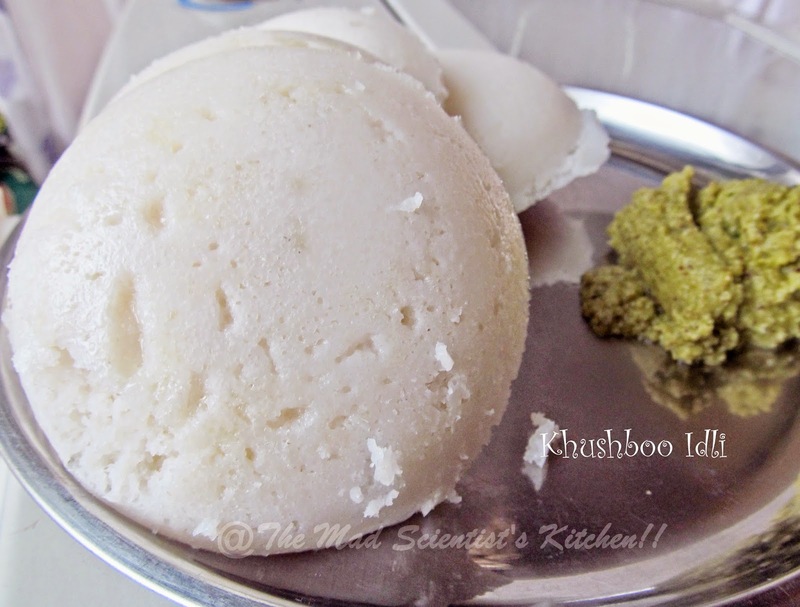 So with apologies to Khushboo and her fans let’s eat Khushboo Idlis. Thanks, Veena for this delicious recipe. How fluffy the idlis are, soft and fluffy is obvious from this picture. Wash the rice and urid dal.soak them for 12 hours. cups water on the sago in leave it again for 12 hours. Grind the dal, rice and the sago to a fine paste. Leave it to ferment for about 8-12 hours. Add the salt and soda if using. Mix well and steam for 8-10 minutes. Sacchhi, khusboo idli, looks so tempting. Thanks for the recipe Archana. I have lots of sago in stock but not everyone at home likes khichadi. Now I can add them to idli batter. Such soft and lovely idlis!